Why should we study language? How do the ways in which we communicate define our identities? And how is this all changing in the digital world? 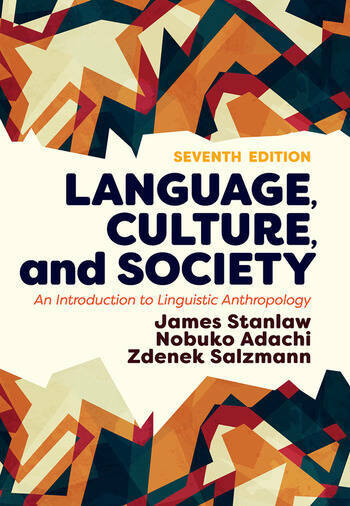 Since 1993, many have turned to Language, Culture, and Society for answers to questions like those above because of its comprehensive coverage of all critical aspects of linguistic anthropology. This seventh edition carries on the legacy while addressing some of the newer pressing and exciting challenges of the 21st century, such as issues of language and power, language ideology, and linguistic diasporas. Chapters on gender, race, and class also examine how language helps create - and is created by - identity. New to this edition are enhanced and updated pedagogical features, such as learning objectives, updated resources for continued learning, and the inclusion of a glossary. There is also an expanded discussion of communication online and of social media outlets and how that universe is changing how we interact. The discussion on race and ethnicity has also been expanded to include Latin- and Asian-American English vernacular. Nobuko Adachi is associate professor of anthropology at Illinois State University. Her interests include transnationalism, ethnohistory, and ethnic studies. She is the author of Ethnic Capital in a Japanese Brazilian Commune: Child of Nature. Zdenek Salzmann is professor emeritus of anthropology at the University of Massachusetts, Amherst. A specialist in Native American languages and folklore, he is the author, with his wife Joy, of Native Americans of the Southwest.